Dine Out 2017 is just around the corner and we’re super excited to launch our Craft Beer and Tacos Brewery Tour! We’ve put together a whole new tour for Dine Out this year celebrating our two favourite things and can’t wait to introduce our guests to our beer stops at Strathcona Brewing and Big Rock Urban Brewing and for the main course of tacos at Tacofino Gastown. Our tour was just featured in the Georgia Straight as one of the top “booze related” Dine Out events and in case you missed it, you can read the article below! There’s only a few seats left on tour, click here if you love tacos and craft beer! We could go on and on about Vancouver’s mind-blowing craft-beer and international-food scenes, but let’s be real: this event sells itself. Join Vancouver Brewery Tours for a taste of some of the city’s most talked-about suds as you’re chauffeured to Big Rock Urban Brewery and Strathcona Beer Company for insider peeks behind the brewmasters’ doors. Your evening is capped off with a Mexican-inspired feast in Gastown, where you can balance all that beer-guzzling with a few of Tacofino‘s award-winning plates. Tickets are $98.25, including tax. BC Beer Wars 2017 is underway! 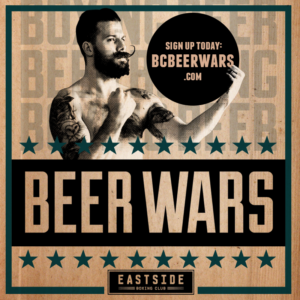 BC Beer Wars is an annual collaborative fundraiser between Vancouver and Victoria’s Craft Beer and Boxing communities. Participants from over a dozen local craft breweries take part in an intensive three month training regime to prepare themselves for a sold out boxing card at participating venues. 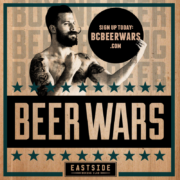 Funds raised from Beer Wars benefit local gyms – Eastside Boxing Club located in Vancouver’s Downtown Eastside and Victoria Boxing Club located in Victoria. Both community based non-profits aim to better their communities through boxing Community boxing programs for at risk youth and women that have been exposed to violence. 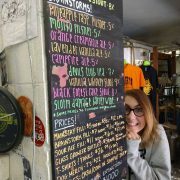 VBT in collaboration with our Brewery Partner Storm Brewing, has sponsored one of our Brewery Tour Guides to compete. Dave is pumped and training started today! Several teasers will lead up to the main event including open sparring sessions. The main event is coming up at the end of April. Date tbc. Good luck to everyone competing and props to Eastside Boxing Club and Victoria Boxing Club for organizing this amazing fundraiser for the community. If you’d like to know more about Eastside Boxing Club’s community programs check it out here. 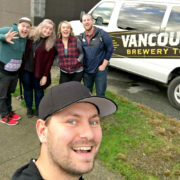 https://vancouverbrewerytours.com/wp-content/uploads/Vancouver-Brewery-Tours-Inc.-BC-Beer-Wars.png 800 800 Ryan Mackey https://vancouverbrewerytours.com/wp-content/uploads/logo-sm-300x60.png Ryan Mackey2017-01-16 15:50:002017-04-05 21:25:46BC Beer Wars 2017 is underway! This month we shine the spotlight on one of the most popular breweries on our tour, the one and only Storm Brewing! Storm Brewing has been on our brewery tours since the day we launched our business in June 2013, and is consistently voted as one of the most popular breweries on our Vancouver Brewery Tour – no small feat considering the abundance of craft breweries in Vancouver and the amount of craft beer choices out there. So why is Storm Brewing such a hit with our brewery tour guests? Well in short, there’s nothing quite like Storm. Storm Brewing opened its doors in 1995 in a small building the heart of East Vancouver at Commercial and Hastings. The owner James Walton had been brewing beer for a few decades and at the time was unsatisfied with the beer being produced in Vancouver, and like any aspiring entrepreneur thought he could do a better job and make better beer. From there James traveled out to a scrap yard in New Westminster and found almost everything he needed to open his new brewery! Both the Mash Tun and Boil Kettle, still in use today, were purchased from this scrap yard and re purposed to make beer. Can you say Mad Scientist anyone? It was also around this time that James took inspiration from Belgium and began producing sour beers. Truly ahead of his time, James was one of the first brewers in North America to begin experimenting with the style. While the beer has changed over the years, Storm Brewing now produces the infamous Imperial Flanders Sour Ale, an 11% sour beer which will truly make your mouth water and pucker! While James began producing some of the mainstay beers that have made Storm famous in 1994, beers like the Highland Scottish Ale, the Black Plague Stout, Precipitation Pilsner and the Hurricane IPA, he also realized his true passion, and that was producing truly unique and adventurous beers. Called Brainstorms, these weekly one offs are considered some of the most unique, and higher ABV beers made in Vancouver. Beers like the Basil IPA, Echinacea Stout, Wormwood Ale and the hugely successfully Whisky Vanilla Stout. No trip to Storm is complete without sampling your way through the weekly Brainstorms! And speaking of James, his approachable demeanour and kind heart is one of the reasons why the brewery is so popular with our guests. He’s happy to tell the Storm story to anyone who will listen, and is always happy to talk beer with aspiring brewers or just folks who love his beer. 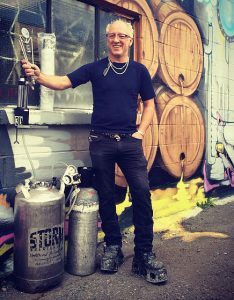 He’s also surrounded himself with some of the best beer staff in the Vancouver brewery scene, and once you’ve visited Storm you’ll know what we’re talking about. The beer is great, and the staff are even better. Another reason why guests love Storm Brewing is the brewery itself. Made before the tasting room culture took hold in Vancouver, Storm is truly a working brewery and one of the “grittiest” spaces in the entire craft beer community in Vancouver. You could say the brewery perfectly captures the spirit of East Vancouver where the brewery resides. We could write about it all we want, but you truly have to visit Storm Brewing and experience the brewery yourself to “get it”. So next time you hop on tour with us, or plan your own walking brewery tour of Vancouver, make sure you visit Storm Brewing. Our advice? Keep an open mind, be adventurous with the beer selection and chat up the staff for a true East Van beer experience. 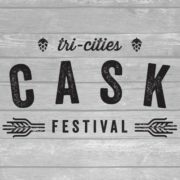 Join Vancouver Brewery Tours at the Tri Cities Cask Festival Winter Pro-Am and be sure to stop by our booth. We’re excited to be attending! What’s this event all about? Glad you asked! 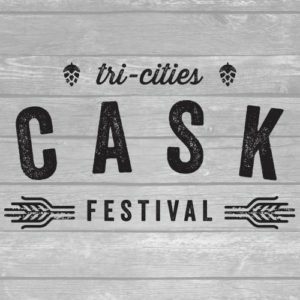 compete against amateur home brewers for the coveted top prizes of Top Pro Cask, Top Amateur Cask and Best of Show Cask. At last check, the list of brewery count is now up to 35 and homebrew clubs is at 11. That’s 46 casks to sample! Wait – what’s cask beer you say? You can read more about it here. Full list of participants below. The Winter Pro-Am is taking place at Coquitlam Executive Plaza on January 22nd from 11am to 5pm. Tickets are $49 and that includes: 10 x 4oz beer tokens, 1 token for a custom made burger, 1 token for a custom made poutine and entry into the draw for various door prizes. The venue is conveniently located across the street from the Lougheed Mall skytrain station. 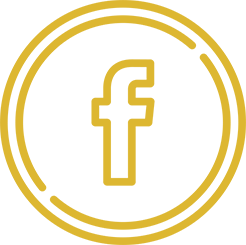 We are a newly formed not-for-profit society made up of a dedicated and passionate group of craft beer lovers that are looking to increase the craft beer presence in the Tri-Cities. 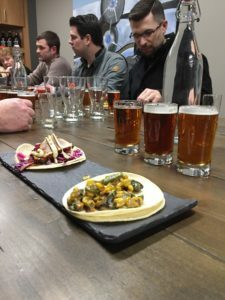 We are looking to host regular craft beer events throughout the Tri-Cities, so of these events may be smaller more intimate events, others maybe grand events but most will be midsize fun events for all types of craft beer lovers. Most importantly our events are put on by craft beer enthusiasts for craft beer enthusiasts. Now Hiring Brewery Tour Guides! We are seeking 2-3 passionate and knowledgeable brewery tour guides to join our team. The positions are for on call, part time and potentially full time. The successful candidate must be available every Saturday without exception with other weekday/weekend shifts available upon request. Shifts are 5-8 hours long. 1) Strong experience in the local craft beer scene (brewers, home brewers, liquor store, etc) AND willing to obtain a Class 4 driver’s license. Due to the amount of applications received, we will only be contacting potential candiates. Thank you for your interest in good luck! https://vancouverbrewerytours.com/wp-content/uploads/VBT-Group-Oct-25-1.jpg 1333 1000 Ryan Mackey https://vancouverbrewerytours.com/wp-content/uploads/logo-sm-300x60.png Ryan Mackey2017-01-10 14:29:002018-03-22 12:47:08Now Hiring Brewery Tour Guides! CBC On the Coast Columnist Rebecca Whyman, spoke earlier this week about some of the craft beer trends predicted for 2017. Two styles that she flagged as up and coming were the New England IPA (aka Northeast or Vermont IPA) and the Milkshake IPA. Milkshake IPAs have been popular with two breweries so far – Boom Box Brewing at Callister (they made a Coconut Showers Milkshake IPA) and Two Sails Brewing (Two Straws Mango Pineapple Milkshake IPA). 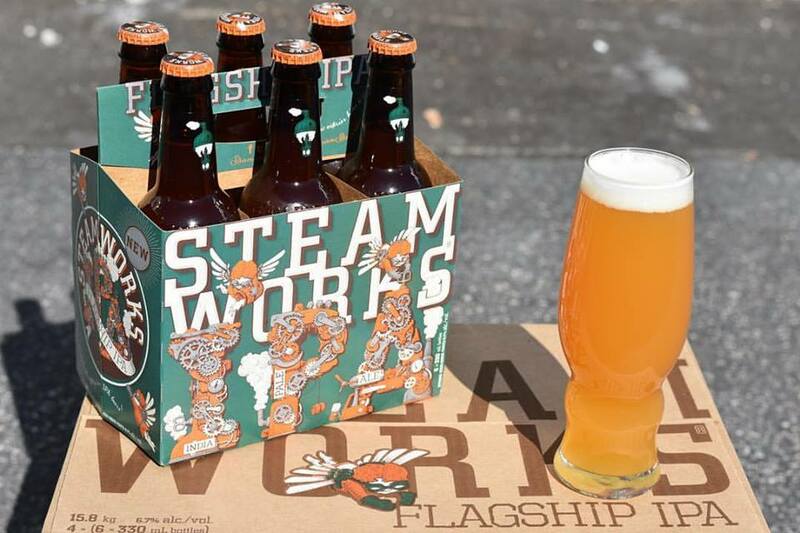 The Steamworks Flagship and Boom Box Coconut Showers IPAs may just be available to sample when you #HopOn one of our Vancouver Brewery Tours. Check it out! Everyone wants to know what the future holds, and On The Coast beer columnist Rebecca Whyman says the future of craft beer in B.C. — at least for 2017 — is the New England India Pale Ale. 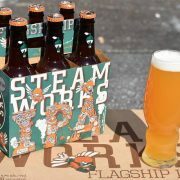 Also known as the Northeast-style IPA, New England IPAs are less bitter than a Northwest IPA, which makes them more approachable for most people. Whyman says they have fruity, citrusy flavours and a creamy soft mouthfeel, an unexpected sensation for drinkers used to Northwest IPAs. It’s commonly suggested and accepted that the perfect obvious pairing for spicy foods is an IPA. Curry and IPA. Wings and IPA. This is an interesting article that I found on the Brewers Association website (www.craftbeer.com) by Nicole Garneau, that talks about the science behind why that’s not actually correct if you’re looking to quench your thirst or subdue your burning mouth. 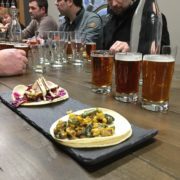 On our Vancouver Brewery Tours we talk a little about pairing beer and food. I learned in the Cicerone Certified Beer Server program that you can either complement your food’s flavours or you can contrast the flavours. At the end of the day it’s up to you! You can also find a pairing chart on the Brewers Association website here. First, the reason why spicy foods cause a burning feeling is because they contain an irritant. For this reason, spicy is a mouthfeel, not a taste. It could be capsaicin in chili peppers, gingerol in ginger, or cinnamaldehyde in cinnamon to name a few. These irritants bind to receptors on the tongue, which kicks off a chain reaction and signals to the brain that there is something potentially dangerous in the mouth. This causes the brain to unleash a typical pain reaction: dilation of blood vessels cause your skin to get red, sweating occurs, and you actually feel like your mouth is burning. The goal of a pain reaction? Your body is telling you to counteract. If you’re reading this post, my guess is that you counteract by picking up your beer…. 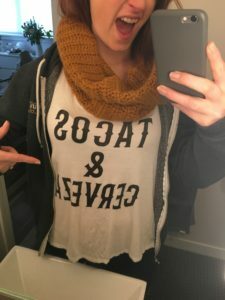 About the Author: Dr. Nicole Garneau is a geneticist who studies taste, co-author of the Beer Flavor Map, and co-founder of the beer sensory app DraughtLab. She is a sought-after speaker, has done numerous media interviews and is featured in the book, Beer Pairing the Essential Guide from the Pros. She is a member of ASBC, the Beer & Food Working Group, and on the advisory board member for the Fermentation Science & Technology program at her alma mater Colorado State University. When she’s not speaking or consulting on sensory perception, she’s enjoying time at her day job as PI of the Genetics of Taste Lab at the Denver Museum of Nature & Science.